Various types of smart phone from various vendors who have already created enough competition in the market to be hot. Mobile Phone Review have a question, whether there is still room for newcomers than the Symbian smart phone (S60), Windows Mobile, Apple iPhone, Rim Blackberry or even Google Android. Perhaps the only Palm that can be said, take a moment with the CES 2009 event in the Palm announces latest smart phone product platform with the new (not using Windows Mobile) that is using Palm Pre. 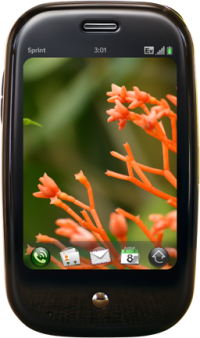 Pre selection name as the name for a first touch screen smartphone Palm has a screen (3.1 inch, 320 x 480) is enough to invite a question. Pre whether it have any meaning under the (prior) class smart phone? One thing is a form of disappointment where Web OS does not support the thousands of old Palm OS applications that have been there. However, successful or not with the Palm Pre slider QWERTY keyboard, GPS, Wi-Fi, Bluetooth and 2.1 GB on-board storage is still interesting to be awaited.